This isn't Monkey Island 1. If you try to open the telescope, Guybrush says "This isn't Monkey Island 1". 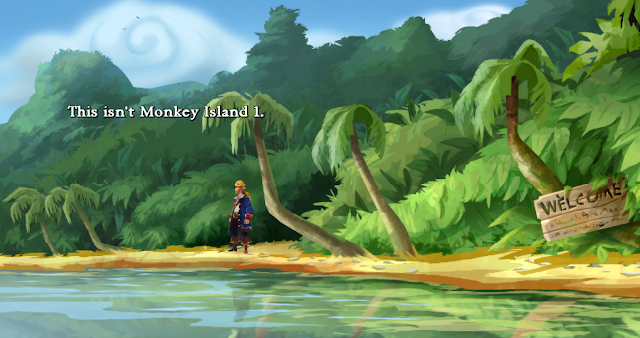 Guybrush opened the telescope to get the lens in The Secret of Monkey Island. In order to see this injoke in the special edition, you have to open the telescope using the classic mode.